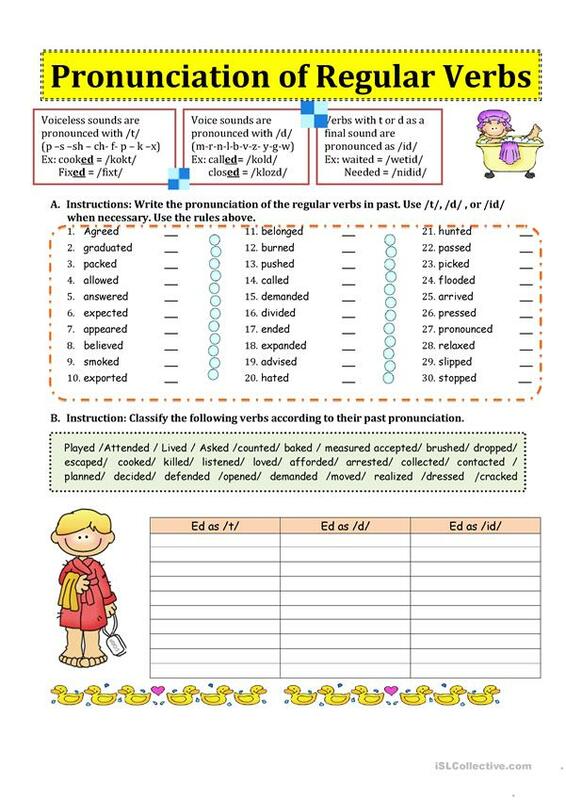 This is a worksheet to practice the past pronunciation of regular verbs. Sts have to classify if regular verbs are pronounced with t, d, or id. I hope you find everything useful. Blessings for everybody. The above downloadable teaching material is a great resource for high school students and adults at Pre-intermediate (A2) and Intermediate (B1) level. It is a useful material for teaching Past simple tense in English, and is a valuable material for honing your groups' Writing skills.